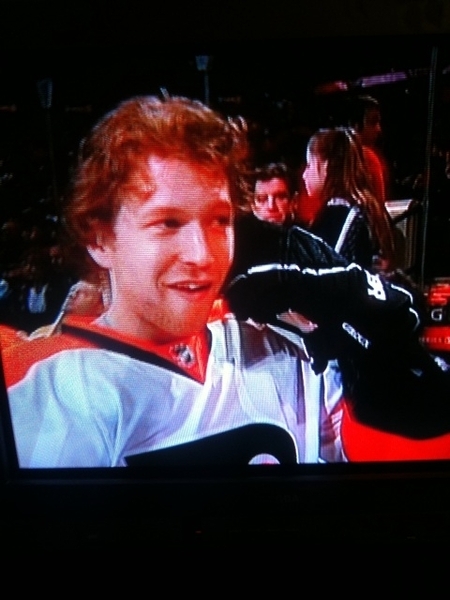 Claude Giroux of the Philadelphia Flyers uses his new sports technology hockey glove phone during the NHL Super-Skills by Honda at the 58th NHL All-Star game. Of course, this is a joke. Claude was using his glove to hold his ear microphone in place, haha Sports Techie!